Does your little one, wake up in the middle of the night for no reason? If you are clueless, as to why your child is unable to have a comfortable and consistent sleep, here we are, sharing the 8 common reasons why babies wake up at night. The initial years of motherhood area testing time for the mother and the baby. If it is a first baby, the worry is even more, because of lack of experience. The new mothers are on the battleground with their little one and attempt to fulfill all the duties of a mother. The irregular and intermittent sleeping pattern of the child and the sudden scenarios of baby waking up at night are one of the most common causes of concern for the parents. The unusual times and situations impacting the baby’s sleep might be common for a newborn. But, this must not prolong and become a habit. A healthy and hygienic sleep system is essential for the proper development of the body. There are hundreds of reasons why babies wake up at night. It is a discomfort for the baby when he or she is too hot or too cold. Sometimes, to make them feel cozy, most mothers try to cloak them with multiple layers of cloth. But, this usually creates a restlessness because the body becomes too warm for the baby leading to sleeplessness. Ensure proper circulation of air is possible as you dress your little one for sleep. Most mothers feel, rocking or feeding the baby would lead them into a deep sleep. The reality is otherwise. Most babies don’t know how to sleep and when to sleep. They just sleep at random timings in random situations. An exclusive sleep cycle, best suited for your child needs to be framed and must be followed diligently. Initially, it would be difficult. Once the baby has settled into this world and the first half of a year is gone, your baby would have accustomed to the surroundings and you can set up a sleep cycle. A sleep cycle would ensure your baby goes back to sleep, even if he or she gets up in between. 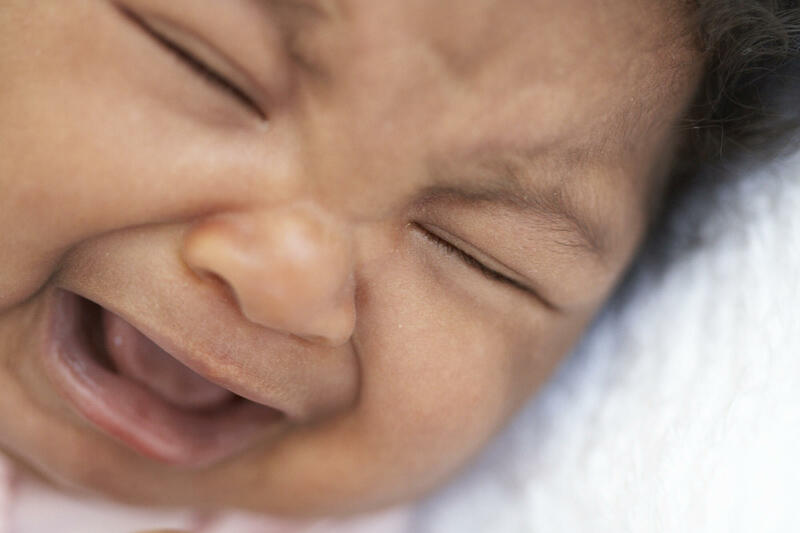 Teething causes lots of discomfort and irritation for the little ones. This pain can cause irregular sleeping trends in the baby, leading to other health problems. Read this article about the 10 teething tips that work and get a better understanding of how you can help your child while teething and overcome the sleeping irregularities. If you have a newborn baby, it is best to feed the baby once in two/three hours whether it is day or night. An empty stomach can be a reason why most babies wake up during the odd hours and get cranky. Long gaps from one meal to another because of long hours of sleep can also cause anxiety the child. Maybe they are in pain or sick. Sadly, they are unable to talk it out. Crying is the only way they can express their pain. There can be hundreds of reasons for infection, for example, an ear infection, tummy upset, nasal block, etc., It is best to check with the pediatrician immediately if the other reasons do not fit in. Oh! The days after the vaccination period are the toughest. Vaccines cause a lot of distress for the baby, leading to lack of sleep and grumpiness in them. If your child’s vaccine cycle is around the corner, be prepared for the worst. Click here to read about vaccination and immunization. 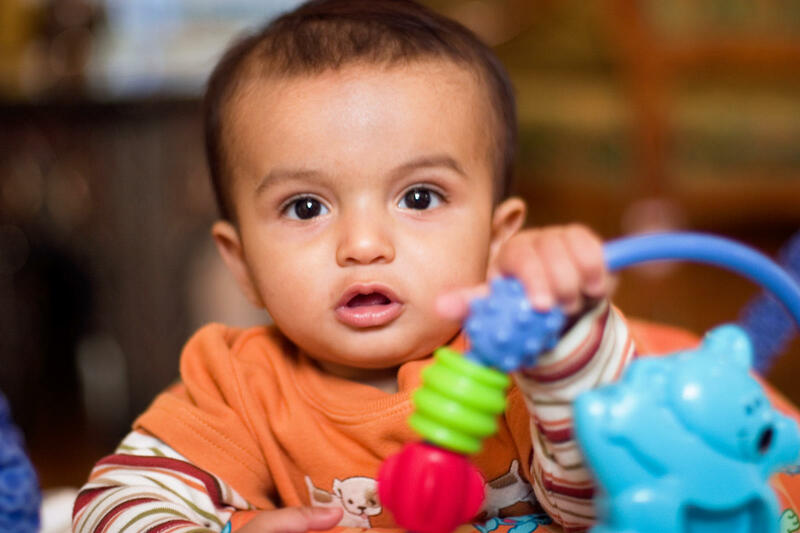 Babies of above six months undergo lots of behavioral changes due to self-awareness and observation. Most babies would get up in the middle of the night and start talking to themselves and skip their sleep cycle. Some babies silently observe, and some make sounds and interact. It is a very common reason. Parents need to watch out for the changes in the child’s behavior. Most mothers introduce bottles and pacifiers for the baby to sleep comfortably. In the long run, this becomes conditioned sleeping habits for the child. Many infants wake up as soon as the bottle or the pacifier is removed or even slightly moved from its position. The best solution is to make the baby sleep naturally without any bottles or pacifiers. A best remedy for a long run parenting. There are many other reasons also, such as growth and developmental changes in the child, nightmares for the little one, long hours of day sleep, too bright or too noisy rooms etc. These above-mentioned reasons are the most commonly observed among the little ones. So, all the mothers out there, observe your child’s behavior and pattern and try tricks which can solve the present problem and not become long-term habits of life that might have to be unlearned in the future. ← A Crystal Ball to see your child’s future? Oh yes!